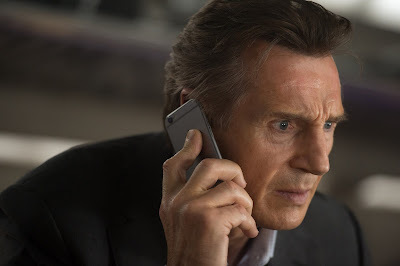 What is it about Liam Neeson that makes him such an effective badass/everyman? Is it that voice? His imposing stature? Maybe it’s the way he can go from being a kind fatherly type, to a cold blooded killer, to a rage filled man out for justice in the blink of an eye? Whatever it is, it doesn’t really matter how familiar the movie feels, he always brings a certain class and charisma to the screen. 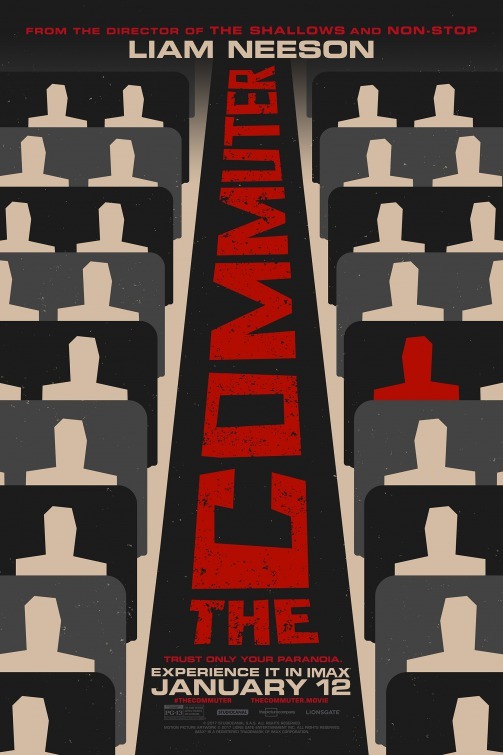 It should come as no surprise, then, to find The Commuter is an easy to watch and entertaining film, even being as predictable and flawed as it is. I just seem to really like him in these increasingly familiar. Something akin to a manufactured Bronson type, aging star appearing in crazy action films. No, he is no Bronson, but you can see where the comparison comes from, right? The Commuter was directed by Jaume Collet-Serra, a frequent Neeson collaborator having previously directed him in Run All Night, Unknown, and Non-Stop. He also saw some success last year with the popular shark attack movie, The Shallows. Still his best film is one he directed The Commuter co-star, Vera Farmiga, in, Orphan. That is one to see. Back to the movie at hand, the screenplay was written by Byron Willinger and Philip de Blasi, and Ryan Engle (Non-Stop, upcoming Rampage). The story poses an interesting question, but it plays out rather sloppily. Perhaps it would be better to call it easily predictable if you are watching the movie. Michael (Neeson) is a hard working family man, he commutes into New York City, where he works as an insurance salesman. The opening moments show how family life isn’t always easy and the day to day can be a grind, but they are always there for each other. On this particular day, Michael is going to be pushed to the limits when he loses his job and during his commute home is given a very real, very deadly, hypothetical situation, that will call on his past skills as a police officer. Our everyman is approached by a woman, Joanna (Vera Farmiga), and is presented with the task of finding the one person who doesn’t belong on the train. Hs reward for doing this? $100,000. Money like that would come in handy being out of work and all. Michael is given a few details and has to figure the rest out on his own. If you pay attention, it is easy to determine who the interloper is. Still, it is enjoyable to watch Neeson go through the motions and pieces together the evidence. While it may be obvious to us, it is not to him. I also like watching him go from laughingly questioning why he is asked to do this, to getting super serious when the stakes are discovered. Like I mentioned, many of the these Neeson starring thrillers are all starting to look the same. I seem to draw similar levels of entertainment from them, but they, to an extent, are becoming indistinguishable from each other. This one may stand out for how easy it is to predict, but also for its complete lack of knowing how commuter trains work. I found this quite laughable, as the train he uses to commute out of the city is shown to be making subway stops, underground, complete with the subway announcements and familiar platforms. This is not something a Metro North commuter train does. I will admit, it threw me off a bit at first. This does not reach the levels of the first Taken, or even Run All Night, but it does prove to be a worthy cinematic diversion. Perhaps I am just a sucker for these Neeson romps, but while they are not exactly great cinema, I am entertained by them.